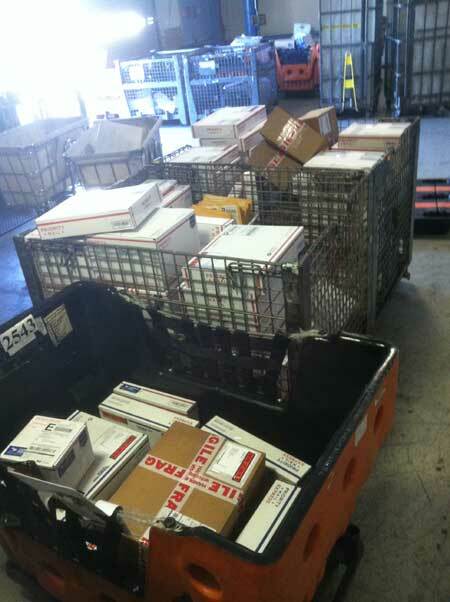 Dozens of customer orders, safely on their way! 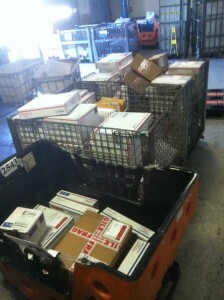 Normally, our USPS warehouse pickup is reliable like clockwork. 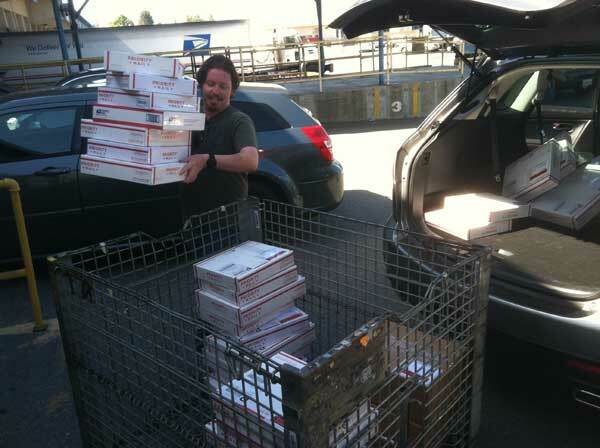 However, sometimes the USPS pickup is late or not at all, so we take things into our own hands. Yesterday was one of those days. 6 USPS drivers were out sick, and our pickup got cancelled, so the HEI team loaded up some personal cars and trucked down to the depot to deliver in person. Here’s Robert loading out a Postal Cart with dozens of customer orders, to make sure we can meet our delivery commitments.